Many organization are exploring how they can take advantage of cloud-based services to enhance the functionality they provide to users. The first driver for moving to Office 365 is often email hosting with large mailboxes or simplified licensing for Microsoft Office, but Office 365 contains many other features that you can use. We can help you identify how to use additional features like Microsoft Teams (formerly Skype for Business), OneDrive, and SharePoint Online. A move to cloud-based services in Office 365 can be a smooth experience when planned properly. One of the critical considerations is how users will authenticate. Most organizations want users to have the same username and password in Office 365. To implement this, we can help you prepare your local Active Directory for synchronization with Office 365. Email is critical business service and you need to ensure that it is available. 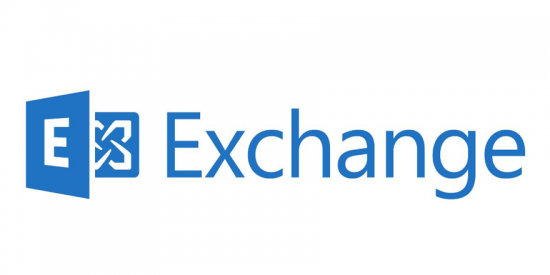 If you do not regularly implement Exchange Server, the process can be daunting. We can help you smoothly migrate from earlier versions of Exchange Server to the latest version. When done properly, it is almost unnoticeable to users. You can integrate an on-premises deployment of Exchange Server with Office 365 using hybrid mode. This allows some of your mailboxes to remain in Exchange Server and others to be hosted in Office 365. When you use hybrid mode, the address book and free/busy lookups are synchronized for all users. The authentication services in Windows Server and Active Directory are the core of services provided to your users. If authentication stops, so does the work. We have extensive experience reviewing Active Directory and domain controller configuration. We are also skilled with other network services such as file sharing, printing, DNS, AD FS, and failover clustering. We have extensive experience in designing, implementing, and managing solutions based on Microsoft technologies. Customers throughout Canada and the United States have benefited from our experience when planning and implementing projects ranging from a few dozen users to tens of thousands. Our core areas of expertise are Office 365, Exchange Server, and Windows Server. Byron Wright, senior consultant, has done design, implementation, and troubleshooting of Office 365 and Exchange Server for organizations up to 40,000 mailboxes. He regularly implements hybrid mode with Office 365, including complex scenarios with multiple Active Directory forests, password synchronization, and Active Directory Federation Services (AD FS). He has authored technical books and courses for several publishers including Microsoft Official Curriculum (MOC), Microsoft Press, Cengage Learning, and Sybex. He has worked on MOC for Windows Server 2003-2016, Windows Vista-Windows 8.1, Exchange Server 2007-2016, Office 365, and Windows PowerShell. He was also a coauthor of the Windows Server 2008 Active Directory Resource Kit, Mastering Exchange Server 2016, and Mastering Windows Server 2016. Byron was awarded the Microsoft MVP designation for Exchange Server and Office 365 for the years 2012-2015.